My latest quilt is finished and it might just be one of my favorites in the baby quilt category. 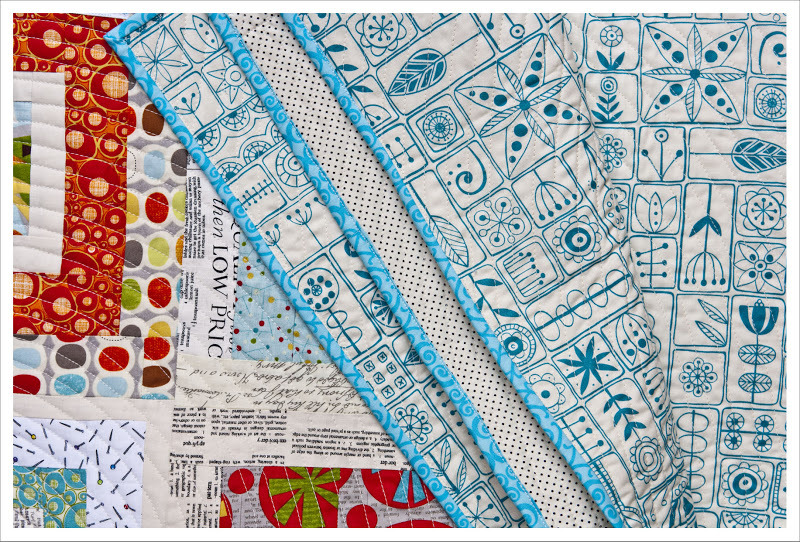 I started of with a fabric pack of 'Mod Century' given to me by Tina from Tikki and I was determined to make the most of it. I added a lot of complimentary text prints from my own stash as 'Mod Century' already features text as background and some solids. Then I went onto the joyous task of making log cabin blocks with a fairly random arrangement of fabrics. 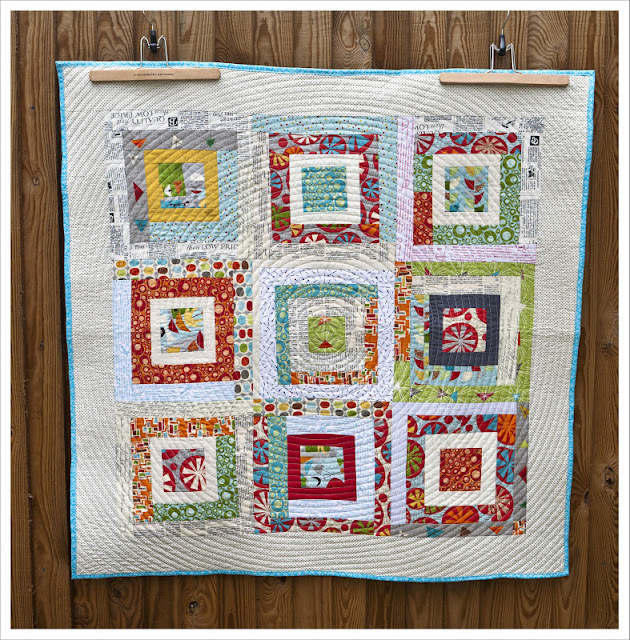 The only rule I had was that the middle squares should be highlighted with a solid coloured border. When I had 9 blocks I contemplated onto twelve but instead decided to add a pretty pin dot border. For the quilt back I used 'Seafoam' in aqua from Lu Summer's 'Summersville' collection which I think works really well with the overall design of the quilt. I just couldn't help myself quilting in a never ending circular pattern. I love this quilt pattern because it is fairly easy and yet incredibly effective and works very well with square quilts. The binding is also kept in aqua to compliment the quilt back and gives a little contrast around the pin dot border. What a pretty quilt! 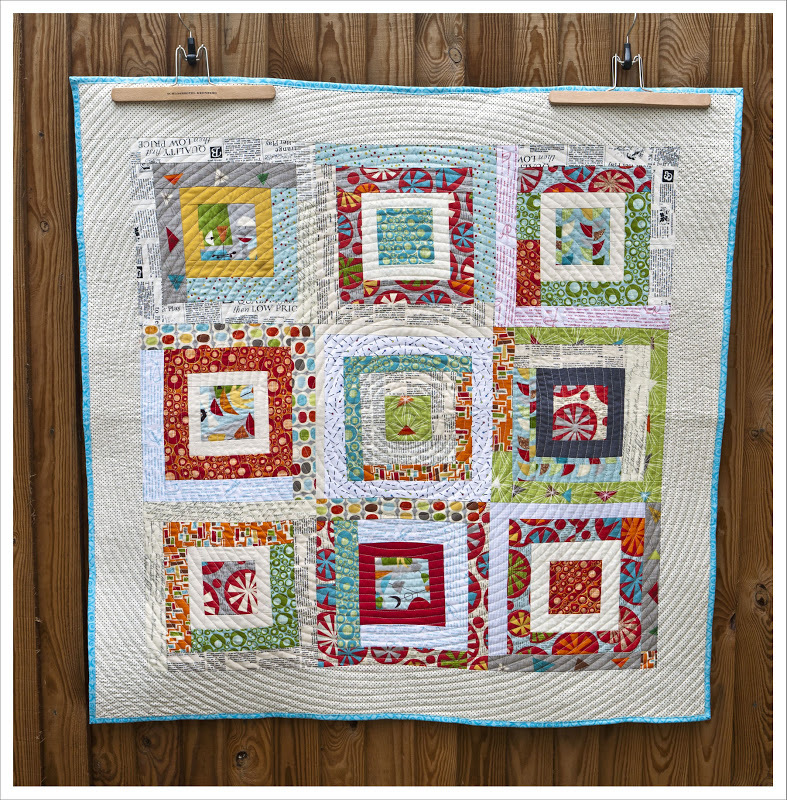 I love the circular quilting on a square block pattern! And the colours really 'sing'! 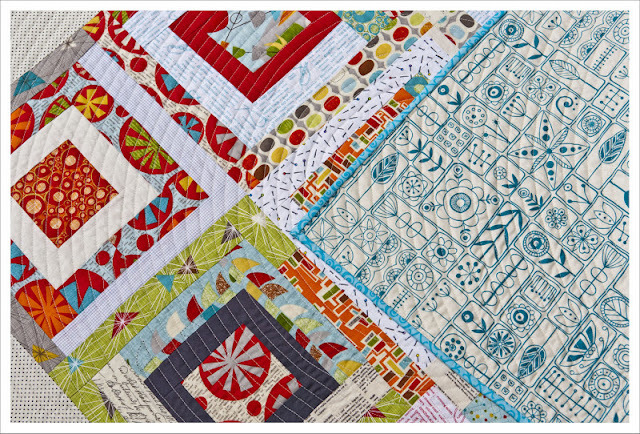 love the log cabin with circular quilting, so effective! 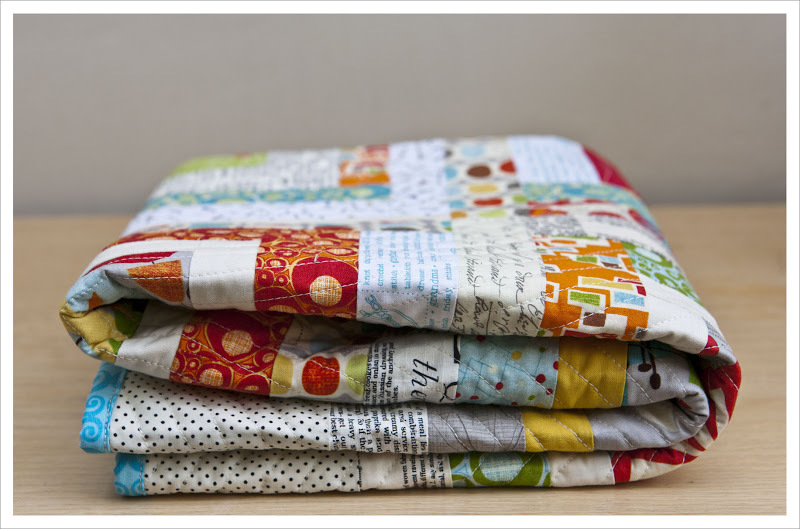 Love this quilt and such a great selection of fabrics! 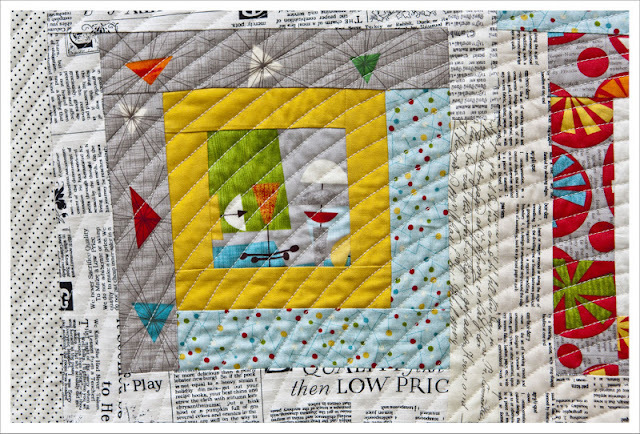 It is a lovely quilt, I love the quilting!